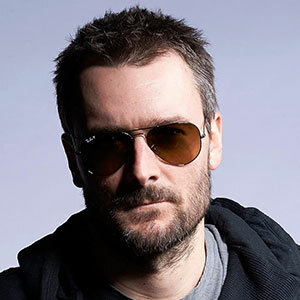 Eric Church is a famous American country music singer. Relocating to Nashville after graduating Appalachian State University with a degree in business, and losing a marriage engagement in the process Church dove head first into his songwriting and developing his music with his fathers financial backing. First gaining some traction when he co-wrote a song "Whiskey Wings" for Dean Miller’s album "Platinum". Getting picked up by Capitol Nashville shortly thereafter. In 2005, Eric Church has already issued the first compositions under the contract with "Sony/ATV Tree Music Publishing", and this was the first success. Debut Album "Sinners Like Me"
He has performed as well in 2006, and has already released his debut album called "Sinners Like Me’", which was preceded by the single "How’ Bout You", has got the 14th place in the charts "Hot Country Songs". In April 2006 earning Church the right to perform at the Grand Ole Opry for the first time. Releasing his second album "Carolina" on March 24, 2009 with great hits like "Smoke a Little Smoke", "Hell on the Heart" and "Love Your Love the Most" managed to reach the top 40 on the country charts sell 715000 copies in the US, and bringing many top ten hits! Dropping his next third studio album "Chief" in 2011 on July 26, debuting at number one on both "Top Country Albums", and the "Billboard 200" selling 145000 albums in just the first week! Eric Church in 2011 was named "Best New Country singer". Also Eric is called "evil country-rocker" and has a reputation of bad guy rang through the country. However, this in no way reflected on his music, which was judged by the highest scale even by the harshest critics. With hit singles "Homeboy", "Drink in My Hand", "Springsteen", "Creepin'", and "Like Jesus Does" these amazing tracks helped this album become Church’s first album certified Platinum by the "RIAA" selling a total of 1702000 copies as of February 2014. In 2012 Eric’s album "Chief" was nominated for Grammy Award. Singles "Homeboy" and "Drink in My Hand" from the "Chief" album reached stratospheric level of all records and became the national country music hits, and Eric Church himself won resounding popularity and became perhaps the premier country singer of America. Country music luminary, instrumentalist Eric Church, continues to gain popularity in 2012. His fame was received after the release of the album "Chief" and his first and second chart-topping singles "Drink in My Hand" and "Springsteen" respectively. Later this year, the number of Eric’s creativity production grew synchronously with his popularity as a recording artist. The new cooperation with the sound rental company "Mason Sound" from Jacksonville, IL helps Church and his team conquer concert platforms of stadium level at this stage. Church’s album "The Outsiders" was released on February 11, 2014, once again placing singles on the "Hot Country Chart" with the singles "Give Me Back My Hometown", "The Outsiders", and "Talladega". Last years Eric Church had monumental concert tours, during which he performed his greatest hits, as well as present new musical sensations to his dedicated fans. At the concert, the complete transfusion of emotions is provided, and it’s one of the reasons why these concerts have created such a stir.